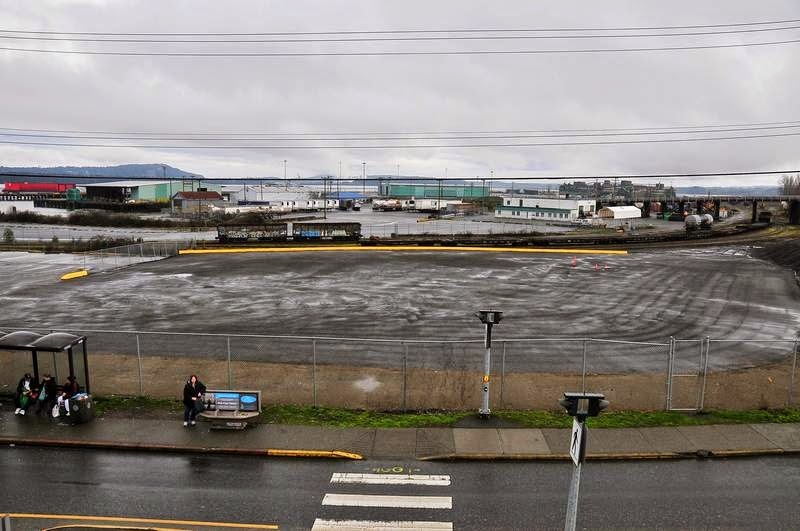 The area on the Wellcox property on the city waterfront is one large vacant, paved lot now that the old warehouse building and the mountain of old pallets have been removed. It still remains to be seen what the city will eventually do with this portion of the property which is still primarily occupied by Seaspan and the ICF. There is some suggestions that this will be the future home of the city bus downtown terminal which currently is by the RCMP detachment. A lone freighter sits at anchor presumably waiting to get into a dock at Vancouver, under a moody west coast winter sky. 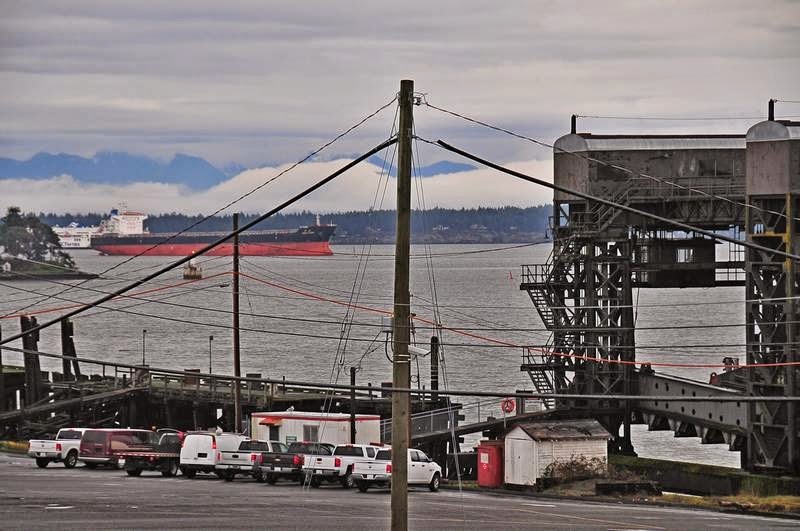 Just behind the freighter you can see a BC Ferry making it's way after leaving the dock at Duke Point. 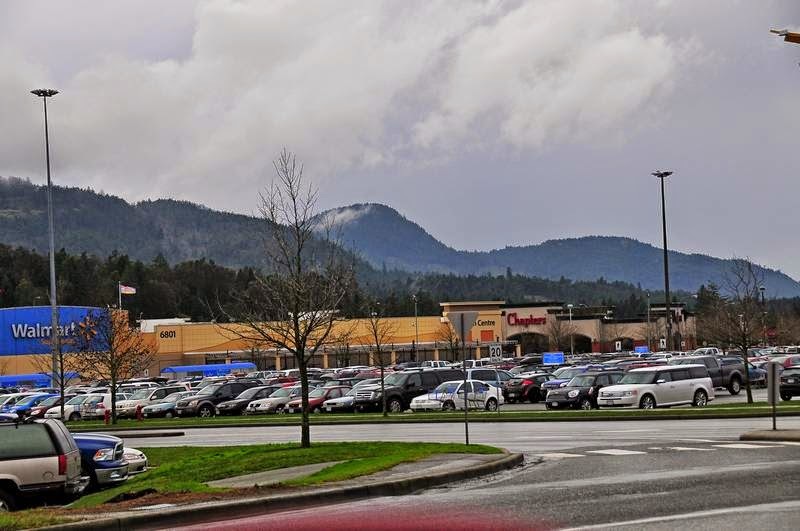 The parking lot at Woodgrove Centre was jammed on Saturday in the early afternoon where there is likely as much trade and commerce conducted on a typical Saturday, than would be conducted downtown during an entire week or more. Note: you can enlarge any image by clicking on it.